Polly Politician is looking to get voted into office. She has teamed up with Selly Celebrity, and together they are running an SMS voter campaign. This article will explain how to integrate Contentful and the Twilio Programmable SMS API with the Flask microframework for Python. 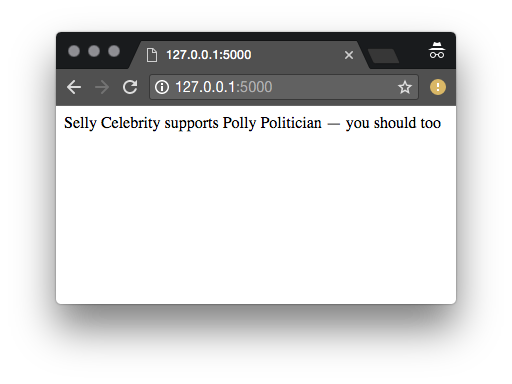 The article will also highlight how to set up webhooks in Contentful, and how to deploy it all to AWS Lambda to make the app genuinely serverless — all in the name of getting Polly Politician as many votes as possible. Note: This article assumes that you have user accounts for Contentful, Twilio and Amazon AWS — using their respective free tiers will do just fine. 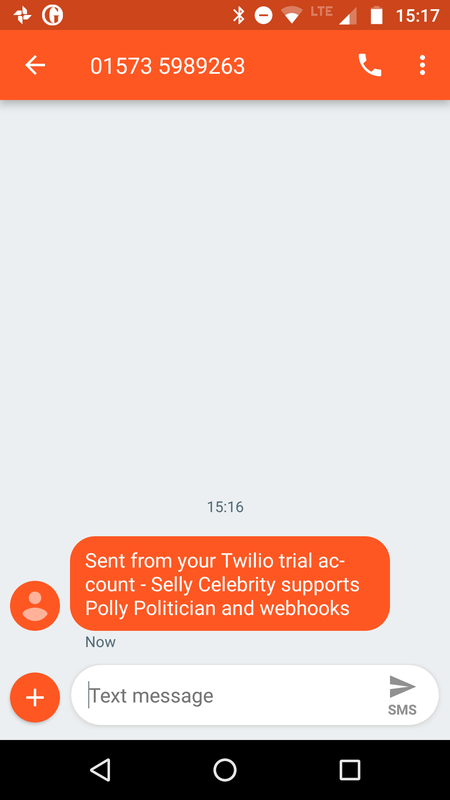 We’re putting together a Python Flask app that will send campaign messages like "Vote for Polly — she’s the best" to potential voters via SMS. 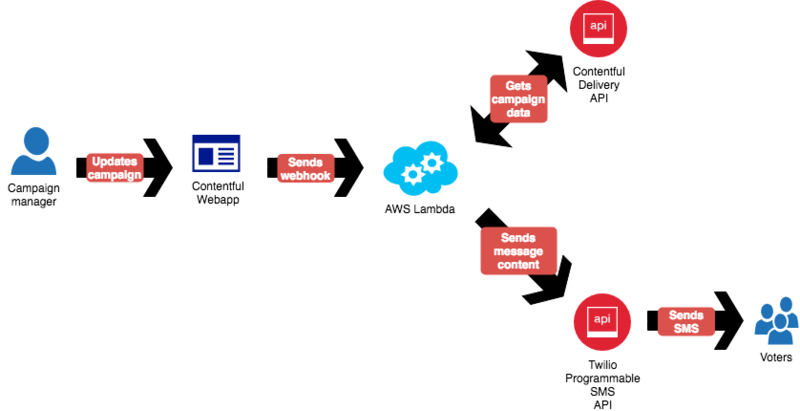 This will work by grabbing content from Contentful using the Contentful content delivery API, and then connect to Twilio’s Programmable SMS API to get the messages delivered. 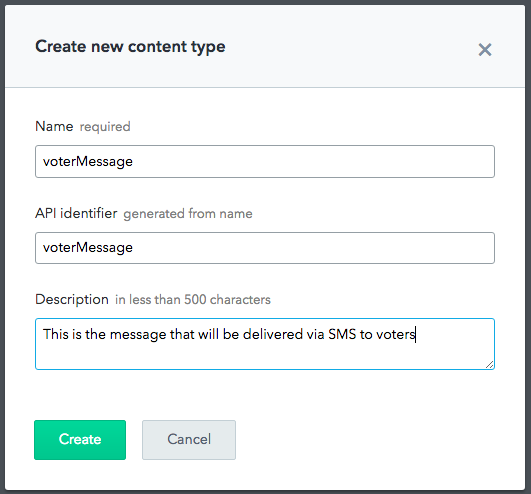 We’ll also configure webhooks to make sure that whenever the campaign manager publishes a new campaign message, that message will be sent to Twilio’s Programmable SMS API and subsequently delivered to voters. In short - Contentful is content infrastructure. 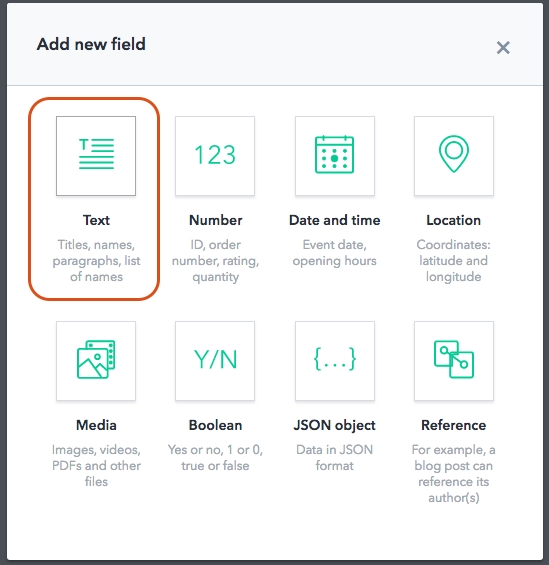 So if you have text, images or any other kind of digital assets that you want to serve to your users, you can use Contentful to edit, manage and deliver content via Contentful’s WebApp and through API-calls. Contentful stores your data in so-called spaces. You can think of spaces like a project-specific bucket that you fill up with all sorts of assets belonging to your project. When you create your free Contentful account you will be asked to create a space. While there are examples to get you started, we’re going to create an empty space called Getting More Votes. 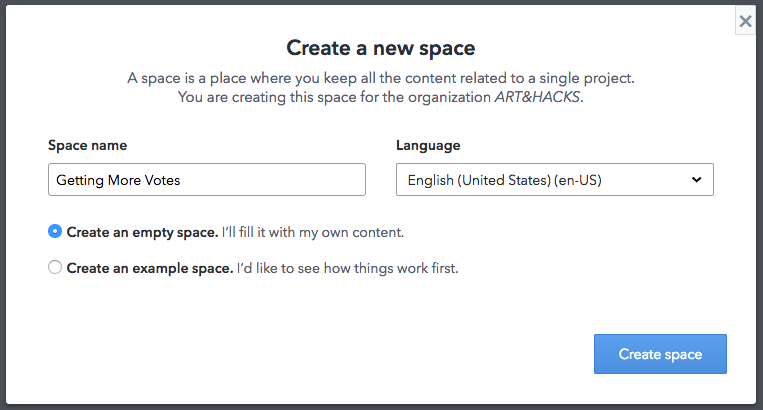 With our Contentful space in place, the next step is to create content types that go into that space. For this implementation to work we need to create two content types: voterMessage and voterNumbers. With the content type in place, let’s add the message that will be sent out to potential voters by selecting Content/Add entry/ voterMessage. Once we hit the green publish button, Polly’s voter message will get a unique entry ID. We’ll use this entry ID when retrieving the entry via Contentful’s Content Delivery API, or CDA. 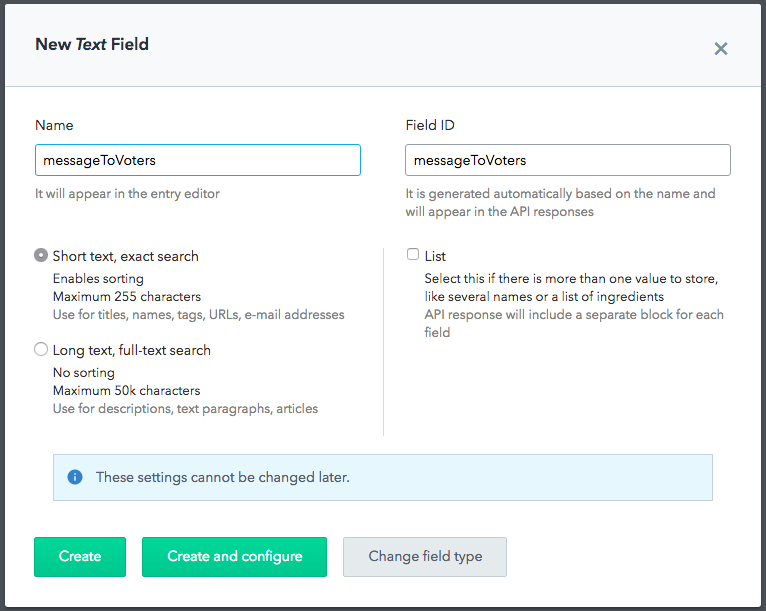 Now that we have our API key, let’s create a function called getVoterMessage() that utilizes this API key to grab content from Contentful. Note that Contentful’s Python SDK will convert field name to snake case. 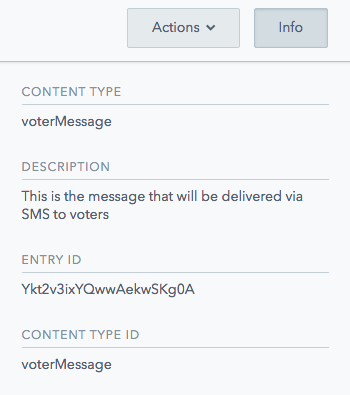 That’s why our messageToVoters field is addressed as entry.message_to_voters in the snippet above. All in the name of PEP 8 compliance. The next step is to connect our app to Twilio’s Programmable SMS API. With the app’s core functionality in place, let’s make our app serverless by deploying it to AWS lambda. So far we’ve only been running our Flask app locally. To deploy the app to AWS, we’ll be using Zappa. AWS Lambda and API Gateway are only available in certain regions. Let's check to make sure you have a profile set up in one that will work. It looks like this is a Flask application. What's the modular path to your app's function? This will likely be something like 'your_module.app'. Calling deploy for stage dev. Creating zappa-permissions policy on twiliocontentfu-dev-ZappaLambdaExecutionRole IAM Role. Warning! Your project and virtualenv have the same name! You may want to re-create your venv with a new name, or explicitly define a 'project_name', as this may cause errors. Scheduled twiliocontentfu-dev-zappa-keep-warm-handler.keep_warm_callback with expression rate(4 minutes)! Waiting for stack twiliocontentfu-dev to create (this can take a bit).. The deploy was successful and our Flask app now runs serverless at https://bz9zie872g.execute-api.us-east-1.amazonaws.com/dev. The next step is to configure webhooks in Contentful so that whenever a new campaign message gets published. 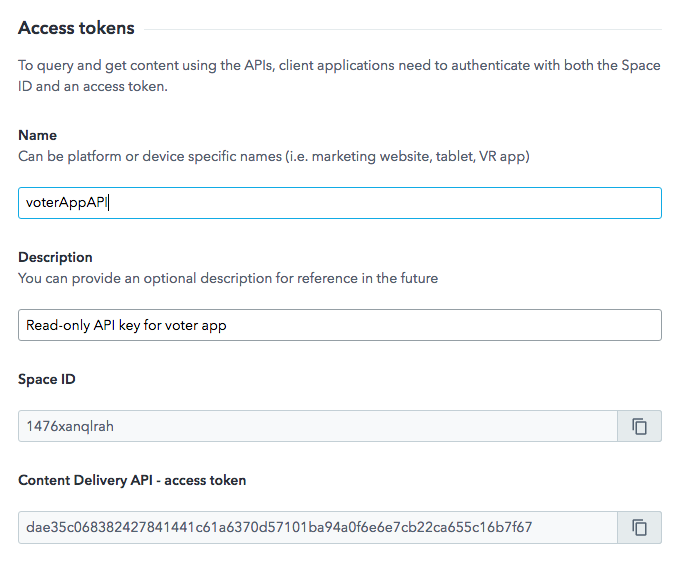 We want to set up a webhook so that every time the campaign message changes and the campaign manager pushes the publish button, an HTTP POST requests gets sent to our serverless AWS Lambda app — which in turn will send out a text message. 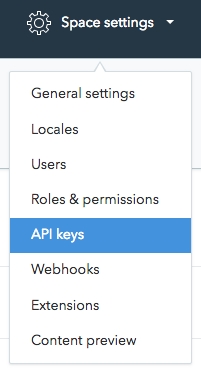 And then click Add webhook. 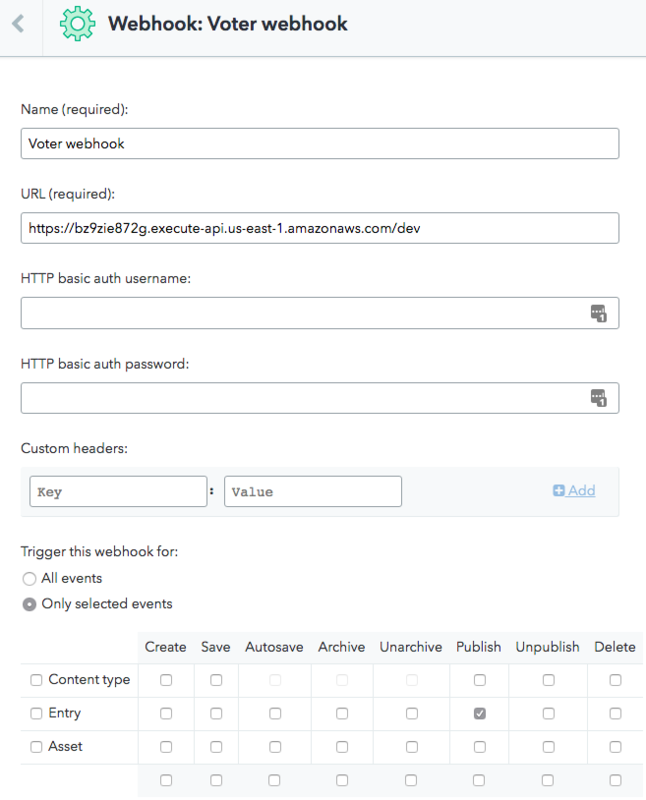 We’ll configure the target of our webhook to be our AWS lambda function at https://bz9zie872g.execute-api.us-east-1.amazonaws.com/dev. The idea is now that when we change our campaign message and hit publish. The updated message will be delivered to voters via SMS with the push of a button. But before that can happen, we’ll need to return to our runVoterCampaign function. Without too much effort, we’ve built a solution that grabs data from Contentful and sends it to users via Twilio’s programmable SMS API — all while running serverless. 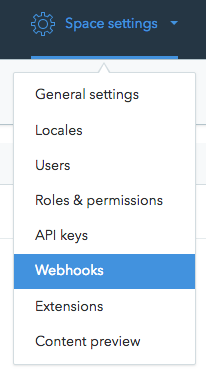 We’ve also seen how webhooks can be configured to trigger on changes made to content stored with Contentful. Webhooks that in turn call AWS Lambda functions. In this article, we built a Flask app. Now, Getting code deployed to AWS Lambda can be surprisingly complex — but using Zappa makes sending Flask apps to the cloud easier than ever. Serverless is the way to go. No more having to worry about keeping servers patched — not to mention the burden of keeping perhaps thousands of servers up and running. Going serverless means that you can focus on code, and not on maintenance.